I received the below letter several years ago and it needs to be shared. Mark writes, I've seen shadow like figures, it was more as a child than anything (i'm 32 now). It's something you just never forget, that pang of fear when you see them out of the corner of your eye and you instinctively look directly at it but then it's gone. What I saw was around 6 feet tall, black, and semi solid usually. The core of it looked black but kind of came more transparent at the edge, it was just a black man sized blob more or less. I used to see them quite frequently. I also on a few occasions (this was only in one place i lived) at the end of the hallway I could see this grey swirling cloud, it was the same as the shadow man though, you couldn't look directly at it. The shadow ghost kind of startled me but the grey cloud really gave me a feeling of dread. I'm not an expert by any means on the subject, but I really did not enjoy it being there, i could feel it staring at me menacingly. Anyway, I after stumbling on to your great site today (THANK YOU FOR MAKING IT!) I hoped that maybe this may help out other people some how. I drew a picture in ms-paint (it's not the best but) of both the shadow being in human form and one in cloud form. Best way I found to deal with them is to just ignore them completely, as hard as that is to accomplish, if you pay attention it seems to bring them out more. The scariest one i saw was at my friend mike's place, I was in bed and woke up. The light was always on in the bathroom which was right out my door. I saw this man that was solid black (not partially translucent like the ones i saw as a child) run by the door like a marathon runner and went it went by it made this god awful scream like "AIIIIIIIIIIIIIEEEEEE", it wasn't like a human scream, it was really high pitched. So at this point i was terrified and just considered putting my blankets over my head and going to sleep (I was not a child at this time, I was around 28, it was that scarry!) but me being me I couldn't let it go so I had to check it out. I started rationalizing it that it must be mike playing a joke on me but I went into his room and he was passed out hard on his bed, he's the type of person you can't wake up he sleeps so deep. I got so freaked out it wasn't mike I went back to bed and tried to just forget the whole thing. I think the scariest part is the feeling of being alone, that you can't talk about it and that's why I have to thank you guys for making this site! I have no idea what they really are but the only way we can figure it out is by working together! I saw the "Crouching" type earlier this year and it was only 18 feet from where I am now setting in my upstairs loft. It was staring at me dead on. It then turned and fled and I jumped up and ran after it. It disappeared though a bedroom door. Wow... a screaming sound while running past the door... Creepy and awesome at the same time! I also saw a crouching "shadow" a couple weeks ago. I walked into the kitchen and saw something in the corner near the cupboard on the flood. The light nearest to me was on, but the one near where the "thing" was crouching was off. I turned that light on and the thing seemed to vanish into the cupboard really quick. I'm not sure what the heck it was, but I didn't feel threatened and I haven't seen it since. I made sure to try to debunk the shadow and turned the light back off. I did not see such a shadow in the area again. The shade on the window was closed, so it could not have been an animal from outside casting a shadow on the cupboard or anything like that. We have had very similar experiences, NightWalker! Hi WackieJackie..... welcome to the Forums! Is there a way to contact this person? I would love to know more. Sounds scary and I am glad this never happened to me! 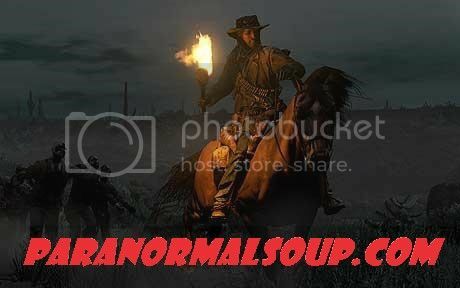 Is it true that shadow people are no good? The one and only time that I had an appearance was shared by another person. It stood between us, but, it didn't fall into those categories. It was completely shapeless (amorphous), hovered in a doorway for 5-10 seconds and then dissipated. It was approximately 2 feet wide and 4 feet tall. A pair of psychics both said that it was an attachment to my friend who was there. He apparently played with ouija boards when he was younger and was taunting and disrespectful. They both said that he needs to have a cleansing and more importantly a change in life. Unfortunately my skepticism overpowers what psychics, mediums etc. say and without proof, to me it's pure speculation. Scientists and pure skeptics quickly say it was a collective hallucination. I really don't know what it was other than the unknown. That was 30 years ago that I experienced it and since then I've only encountered auditory hallucinations that are comparable. Edited by evp, 23 September 2015 - 01:20 PM. I don't know about contacting but this was something I found on another public site. I believe it is from the same person and he explains a little more about his situation and a solution. Hopefully he is still free of the shadows. I'm not sure where to start here. Since I was young I saw shadow people out of the corner of my eye. It always looked like a dark black/grey cloud shaped person, it's hard to describe because as soon as I would look directly it would be gone. I was renting a room in a friend's house in the winter of last year, and I had been experiencing seeing these grey shadow/black shadow men. I previously had been living in an apartment in the area and I saw one as I was entering the door of my apartment, he was down at the end of the hall, bigger than the usual ones I had seen. Anyway, I was renting with a friend at the time and I was laying in bed sleeping. About 2 AM or so; early in the morning and everything was dark except the bathroom light was on. I looked out and this black figure ran across the hall in front of the door and screamed in a high pitch. It's hard to describe the sound, like a high pitched, 'EEEEEEEEEE!' I was scared, I mean I'm not a kid, I'm 28 at the time, and I'm scared so I just waited and yelled, 'Mike?' That was my friend's name. There was no answer. I got out of bed and checked it out but there was nothing and mike was sound asleep in bed. I was pretty shaken up and I got up the next morning convinced Mike had to have been playing a prank on me. I asked him about it and he said he had no idea what I was talking about. About a month later or so a friend did some white magic on me and since then I've been rid of the shadow following me... Hopefully this information can be helpful to someone else who has this problem. Edited by klainey, 23 September 2015 - 08:38 PM. Awesome! 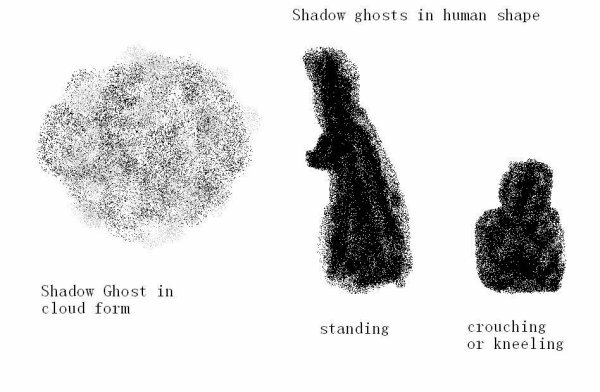 I defiantly want to now learn more about shadow people. Thankfully I have never seen one! My fiance has seen one. Hes thinks that they can be bad, but not all bad. He sees them in my dads house A LOT.